Special thanks to my dear husband Cagatay Atasagun and my dear cats Can & Canan. Subtile jeu d'ombres et lumi�re avec ce portrait. C'est tr�s agr�able car on a l'impression de ressentir la douceur du pellage... j'aime beaucoup le regard tr�s int�ress� qu'on tes chats. 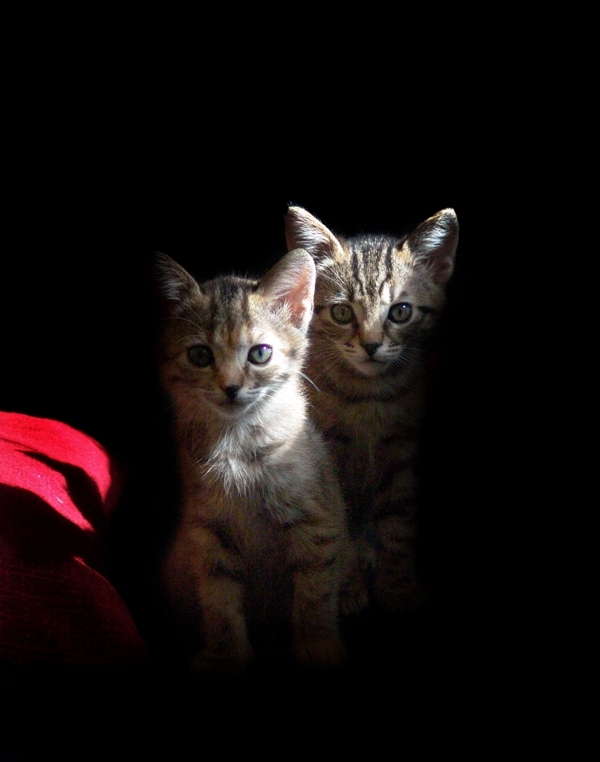 I love cats and love this portrait of your two beauties.I find it hard to understand why it did not receive more attention. The side lighting and the colouring is very effective. I proposed a small WS as an experiment with cloning and framing. I will post option 2 framing tomorrow. I hope you like it. Netliği ve ışık kullanımı ile �ok g�zel bir kare olmuş emeğinize sağlık.